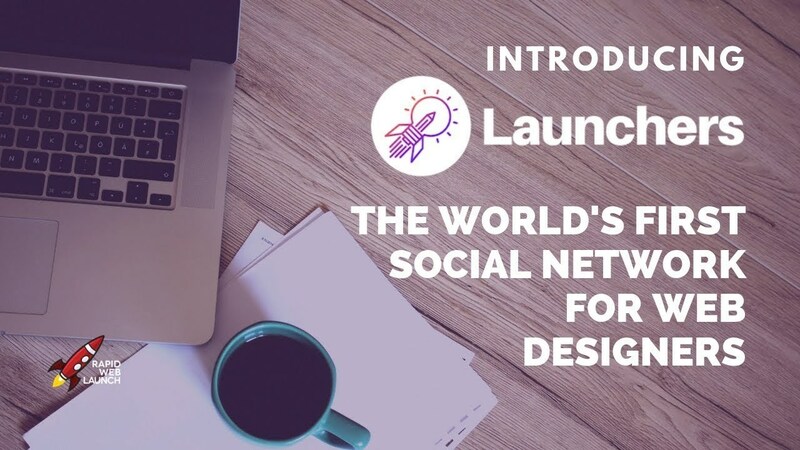 The world's first social network for web designers. If you've always wanted to have your own web design business that allows you to live anywhere in the world and spend more time doing the things you love, then Launchers is for you. You will learn how to build a web design business directly from the people who have successfully done it themselves. You will connect with people in your niche. People who share the same skills, interests and struggles as you. And you'll grow together. You will gain instant access to a powerful network of knowledge, insight and boundless motivation. Well, that depends I guess. Are you suspicious of random internet people offering you valuable products and services for free? Good, you should be. Yes, joining Launchers is 100% free. All I ask is that, if you decide to join us, you add genuine value to what we're building here. There's too much mediocre fluff floating around out there. Spammy Facebook groups, popup-splattered blogs and cringe-worthy YouTube channels that are out to make a quick buck are far too common. Launchers will be different. It will be a genuine place for aspiring web design entrepreneurs to help each other grow their business and design the life they want. And if it's not, I'll destroy it with reckless abandon myself.